Le chantier bat son plein rue des Grands Carmes, rue de la Gouttière à Bruxelles. A new construction site is starting in Bruxelles-centre (Grands Carmes & Gouttière streets). 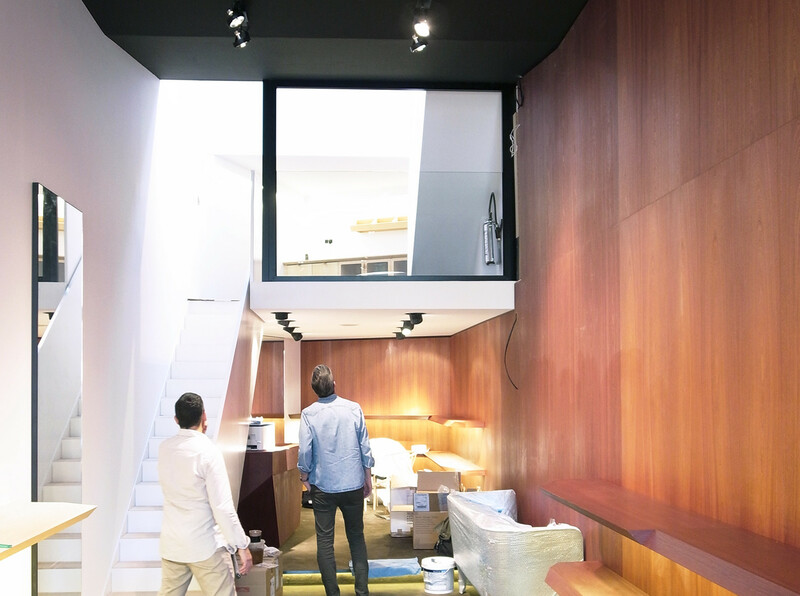 It is a renovation of a housing building, a house and a shop. 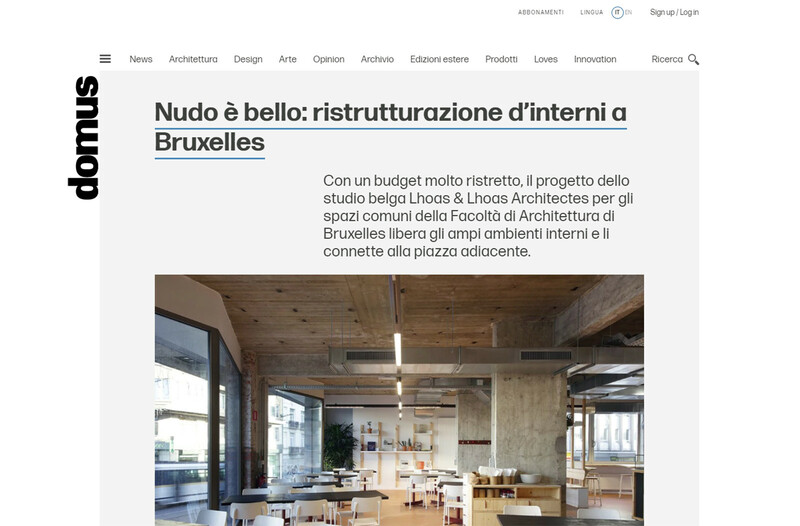 In 2007, we transformed an office located in Brussels into an apartment designed by the architect Claude Laurens. Before his death, Claude Laurens had given to her wife a hand-sketch about the transformation of the concerned building, in case she would come back to live in Brussels. She did come to Brussels, and she asked Lhoas & Lhoas to accomplish the transformation. 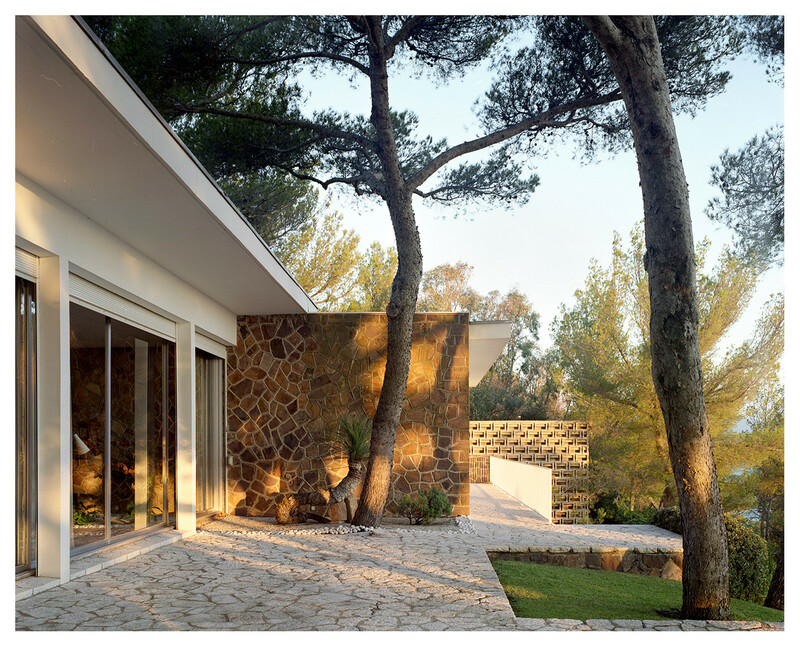 Some years later, we are now working on a building by the same author: the entire refurbishment of a villa in Saint-Tropez. A particular attention on modernist heritage lead this project to an important preliminary study of the existing situation, original materials and architectural components. 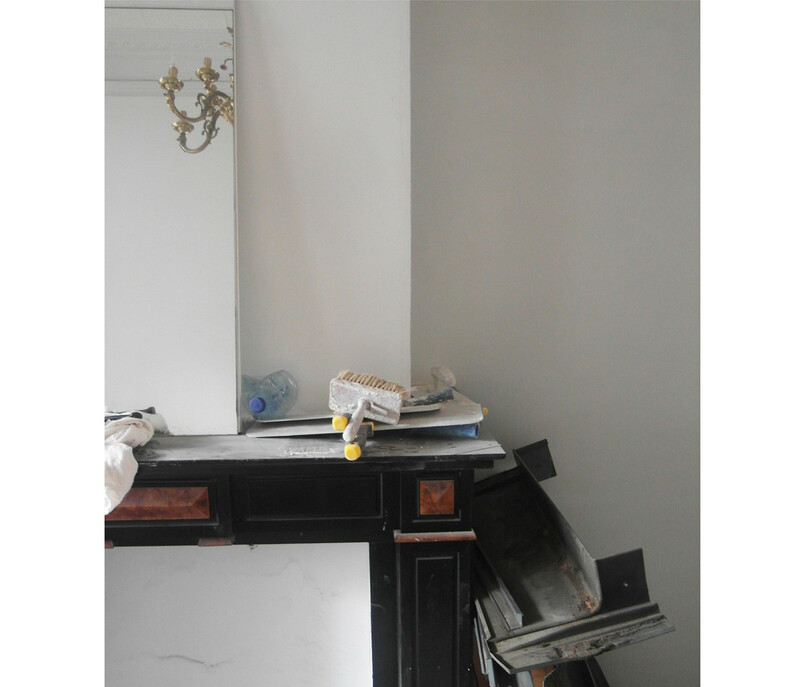 After having packed all the "built-in " furniture in order to restore it, construction works can finally begin! 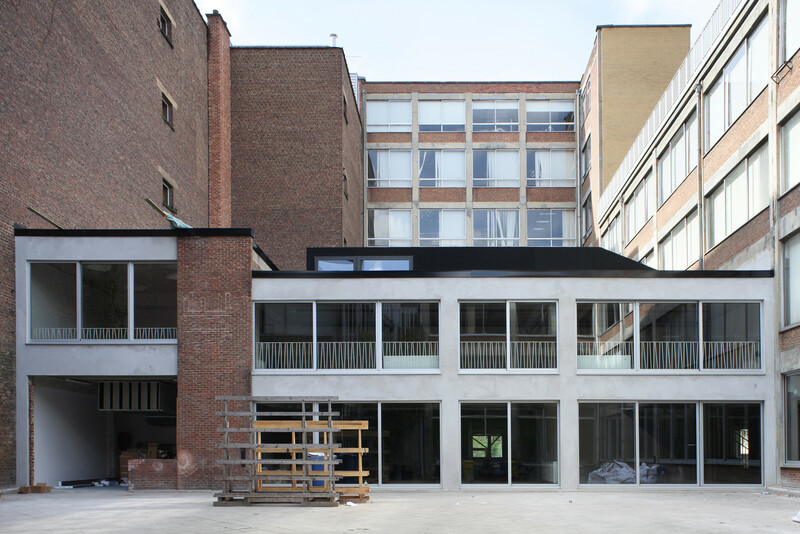 The laureate for the renovation of Yser Citroën garage into a Cultural Centre is now known. 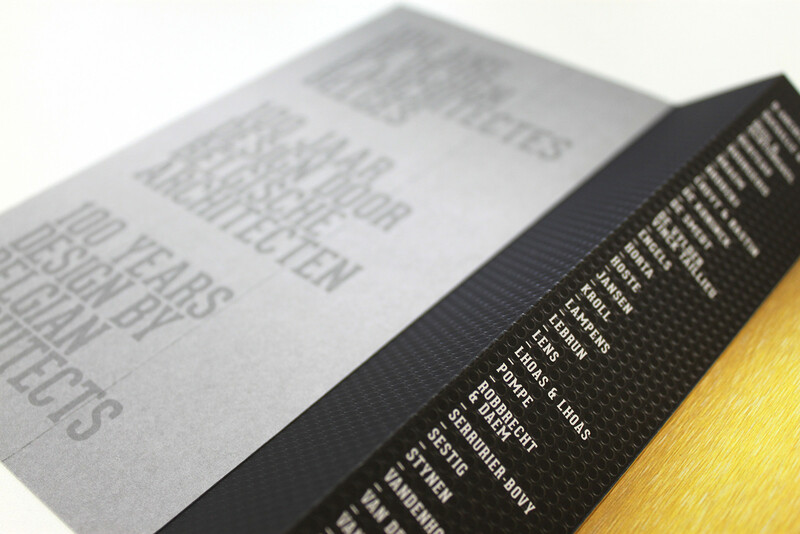 Congratulations to noAarchitecten, EM2N and Sergison Bates Architects ! Lhoas & Lhoas is very proud to have participated to this adventure ! 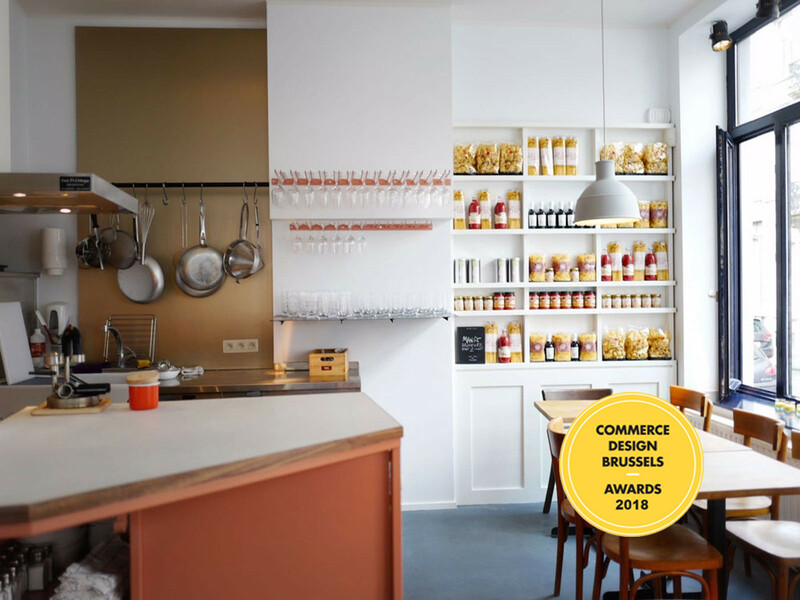 "Certo" restaurant won the Commerce Design Brussels Awards 2018 ! 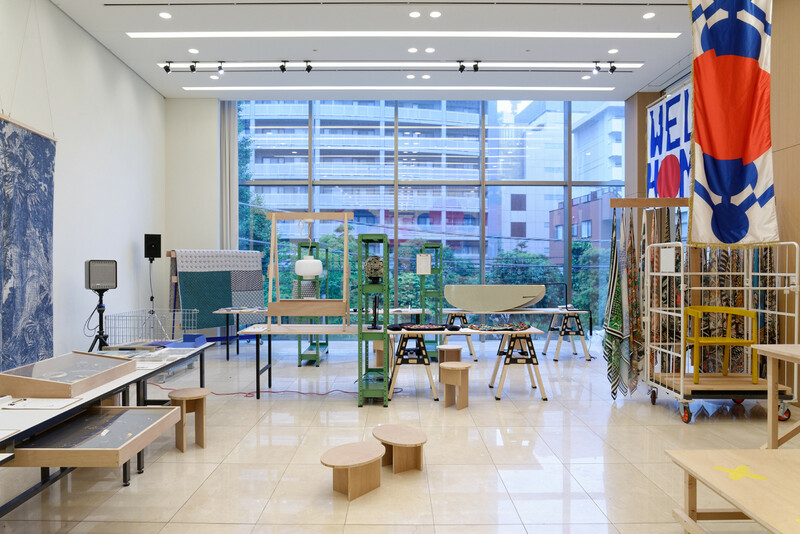 Almost 15 years after designing the shop of the belgian clothes label OWN, we're glad to have been participating to the scenography of the exhibition showcasing their work. 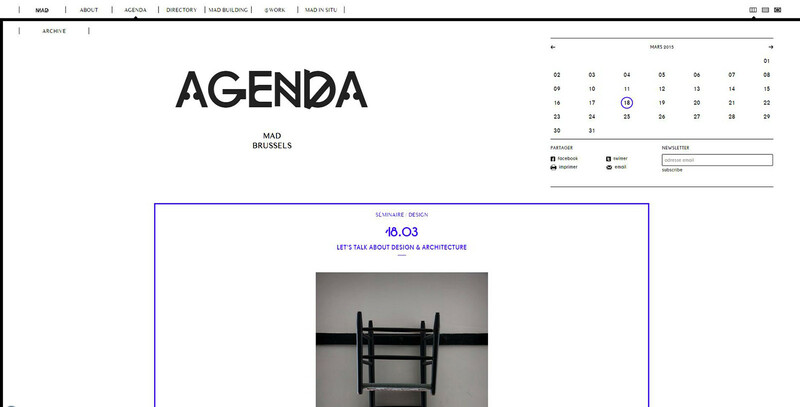 See you this Thursday 15th at 6PM at MAD Brussels. 10, Place du Nouveau MArché aux Grains, 1000, Bruxelles. 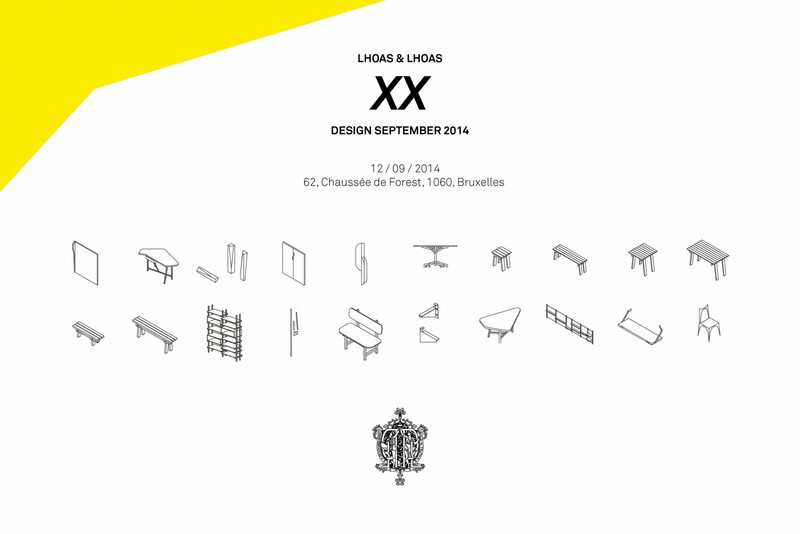 Lhoas & Lhoas is part of the exhibition "Espaces Alimentaires" with the projects Hopla Geiss and L'Architecte. 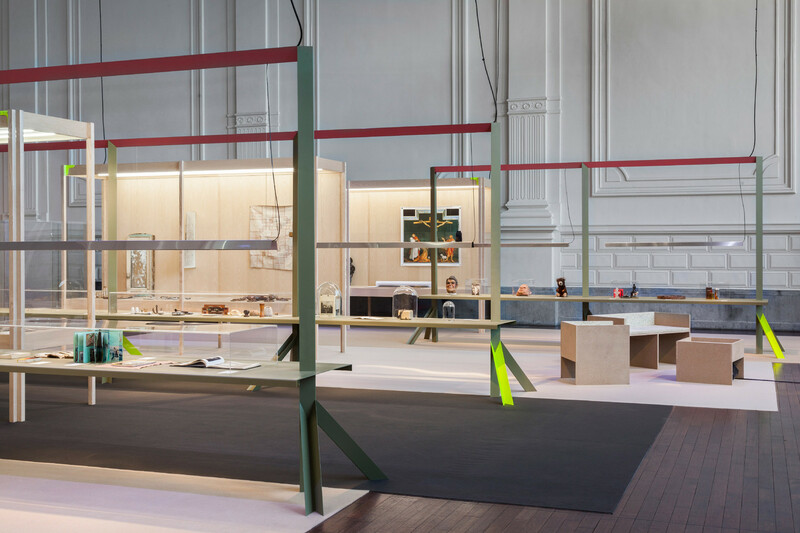 The exhibition held at the WAAO Lille questions the relations between gastronomy and architecture trough a selection of projects across Europe. From the 19th of September until the 25th of November. 25/07/2017 - Competition for the Citroën building reconversion. 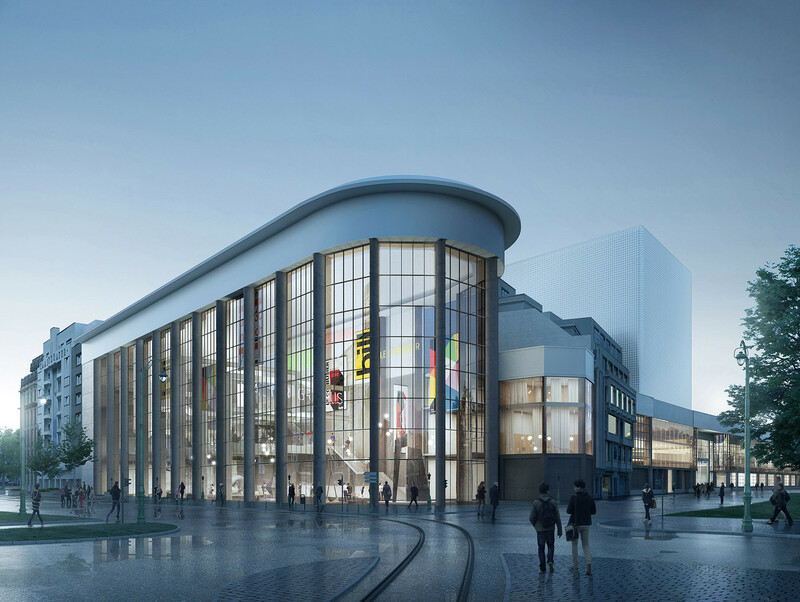 Lhoas & Lhoas has been selected with Ortner & Ortner as one of the seven team in competition for the reconversion of the Citroën building in Brussels into a new cultural project. 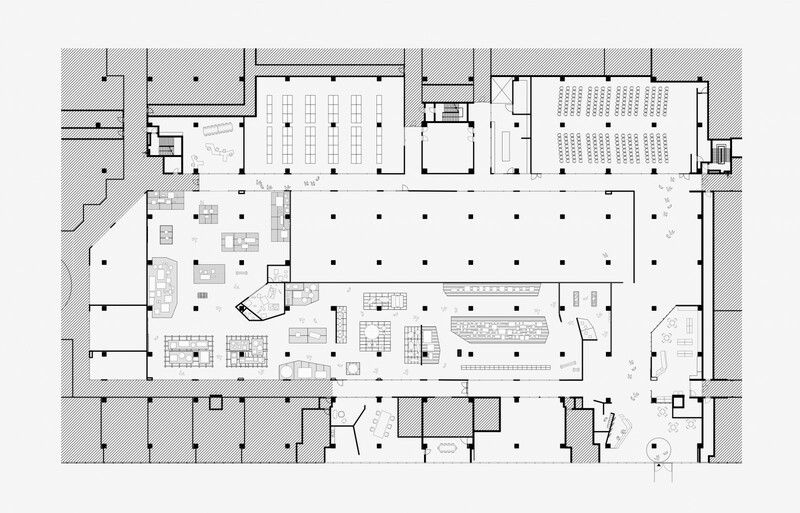 The 35.000 sqm surface includes a museum of modern arts (Pompidou), a center for architecture (CIVA) and public spaces dedicated to cultural, recreatives and educatives purposes. 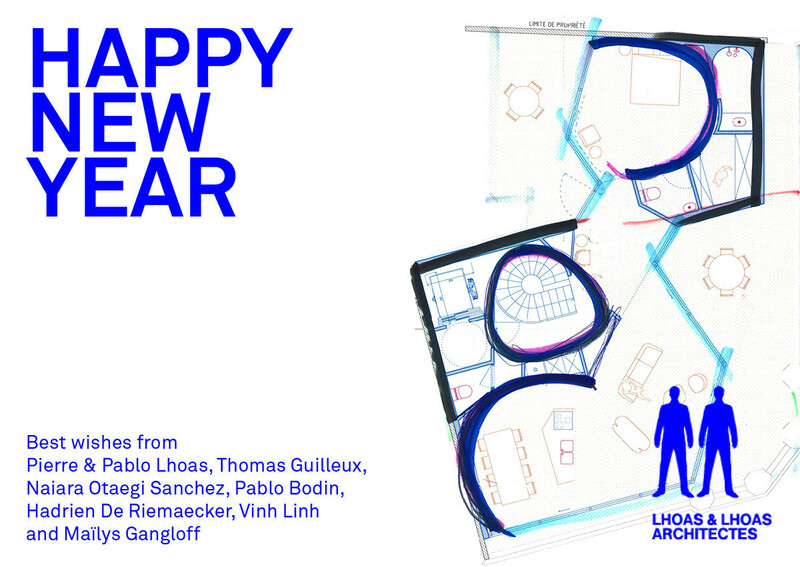 Besides architects, the team consists of: Util, MK engineering, Securisan, Bureau d'étude ATS, Transsolar Energitechnik, Laboratoire des Techniques et de la Sauvegarde de l'Architecture Moderne, FSWLA Landschaftarchitectektur, Museum Marta Herford. 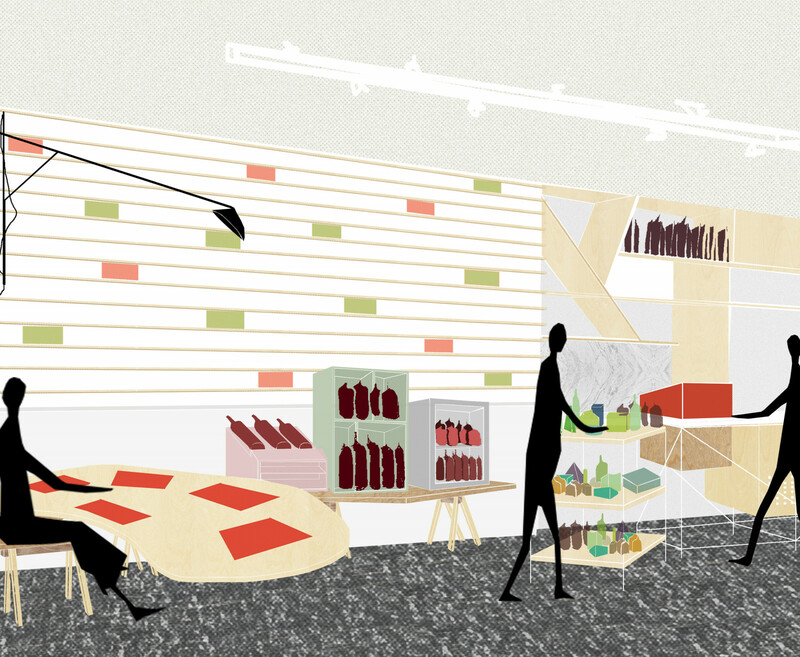 "L'Architecte" restaurant has been selected for the Commerce Design Brussels contest. 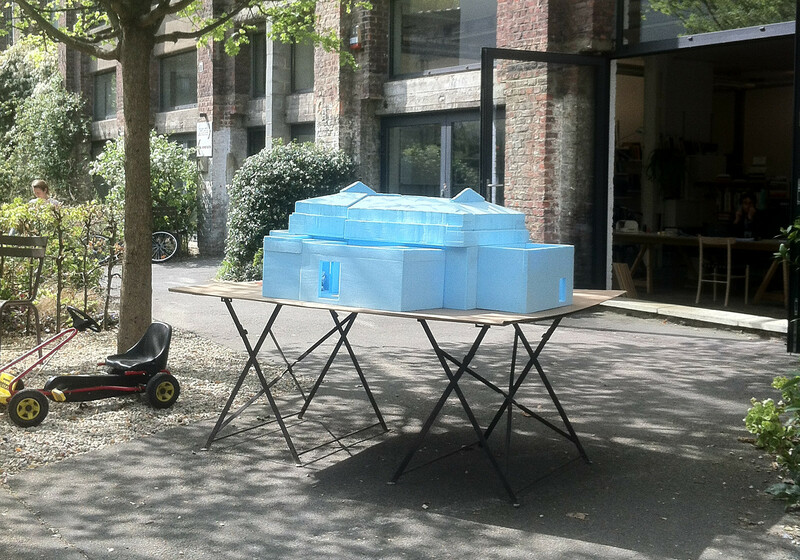 The Bambi chair has been selected has one on the pieces of furniture in use at the new MAD brussels building. 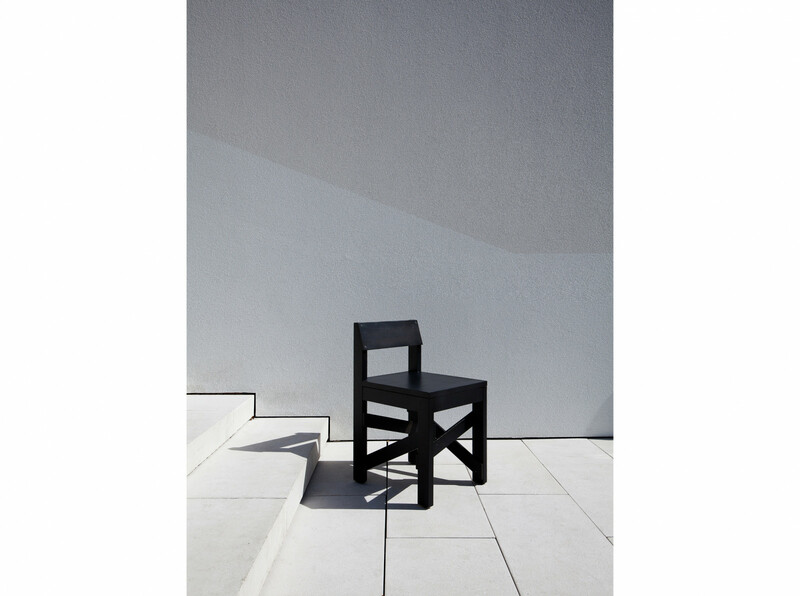 For the occasion, the chair has been edited in a black version. 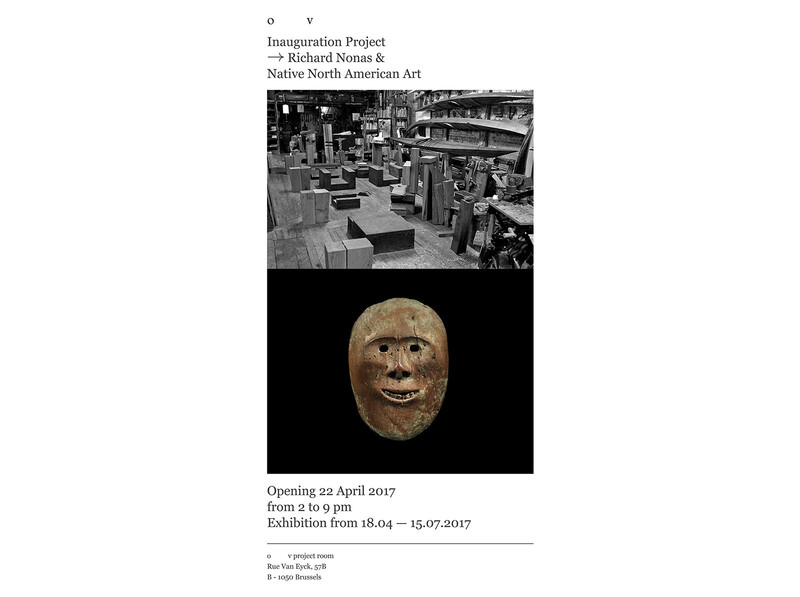 The new art gallery of Olivier Vrankenne will be inaugurated this April 22th with the opening exhibition about Richard Nonas & The Native North American Art. 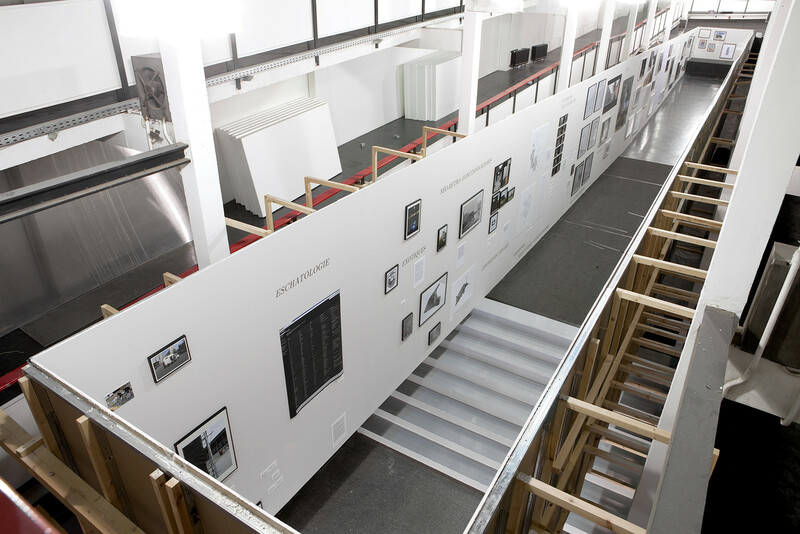 The 35th edition of Art Brussels will open tomorrow the 20th until April 23th. 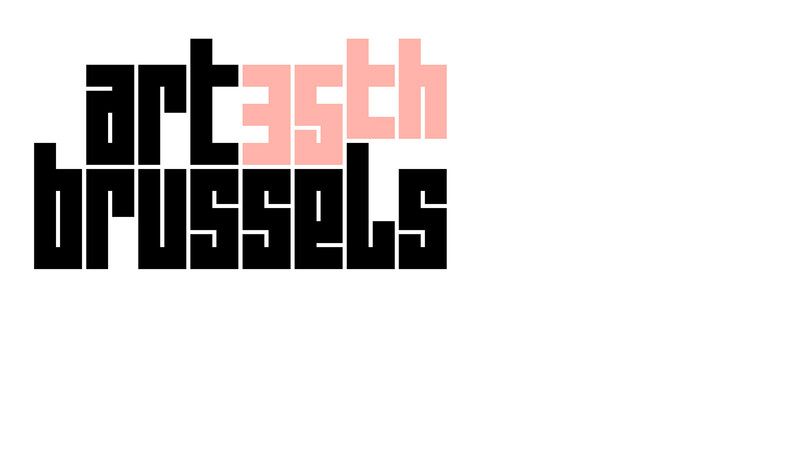 Lhoas & Lhoas has been designated as scenographers for the 35th edition of the Art Brussels art fair. 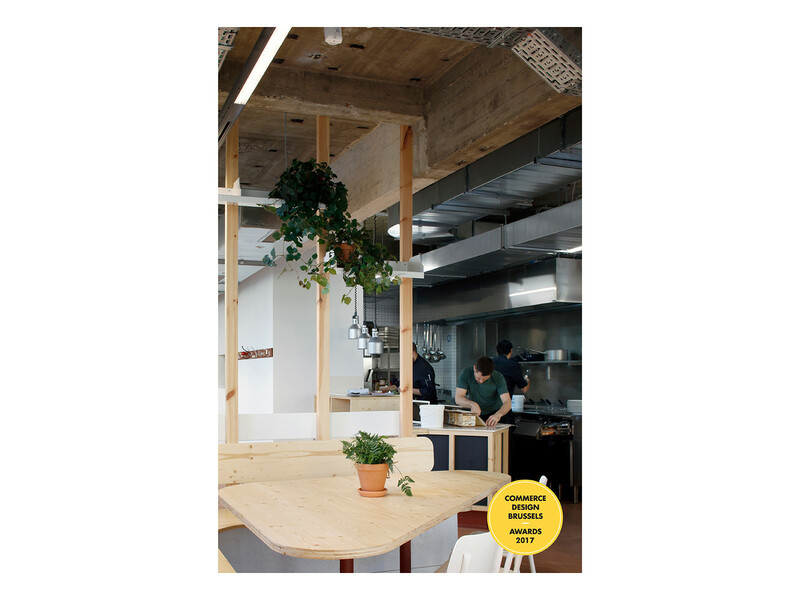 Following the refurbishment of the architecture faculty of Brussels La Cambre-Horta, the PUB (Presses Universitaires de Bruxelles) have opened a restaurant and a bookshop in the building. 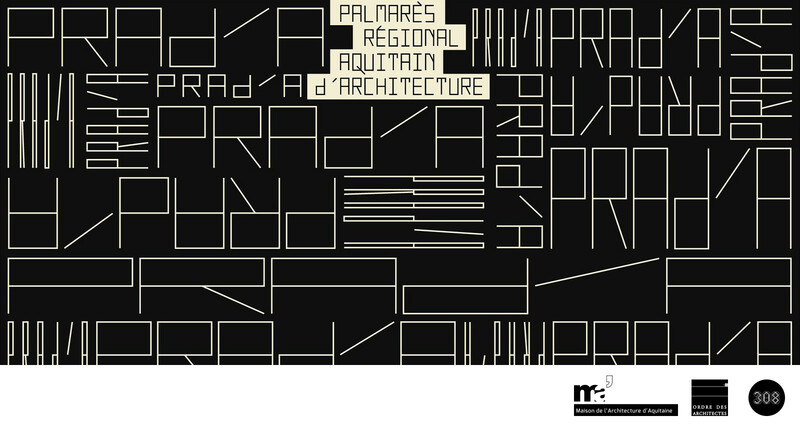 Pablo Lhoas a participé en tant que président du jury au Palmarès Régional Aquitain d'Architecture. The scenography at the Tokyo belgian ambassy has been completed. 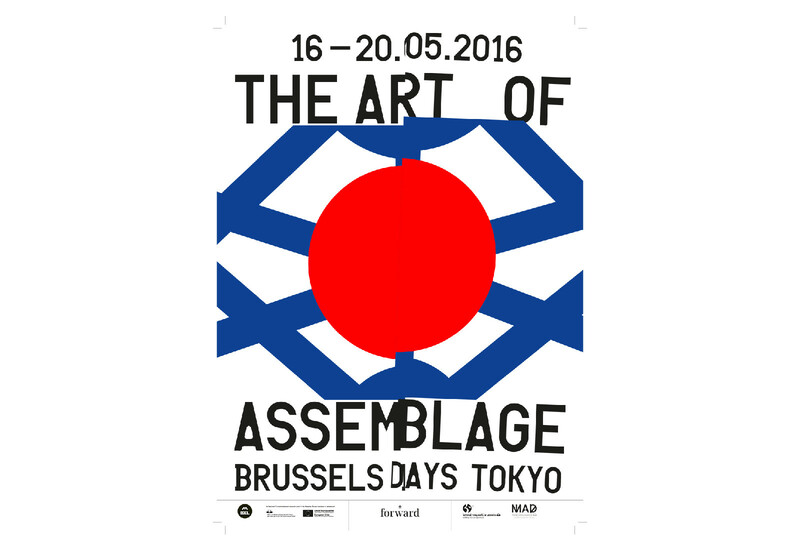 Lhoas & Lhoas has been designated to design the scenography of the Brussels Days at the Tokyo belgian ambassy. The Arts & Design Atomium Museum has officially opened. 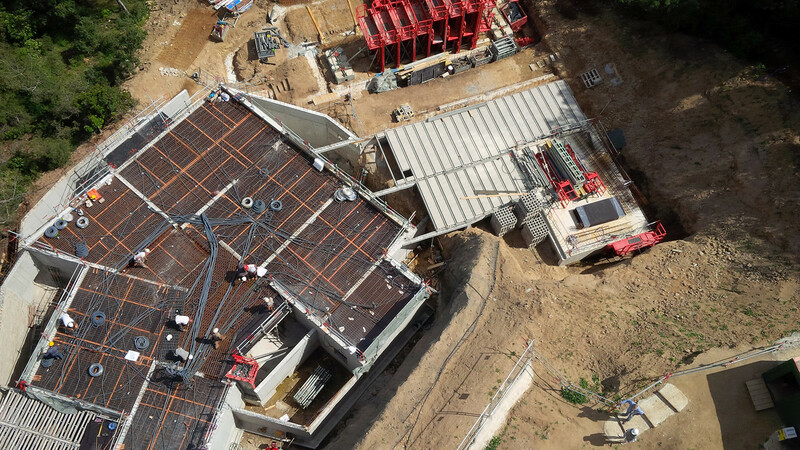 Lhoas & Lhoas has been selected to achieve the scenography of the upcoming ADAM, opening late 2015. 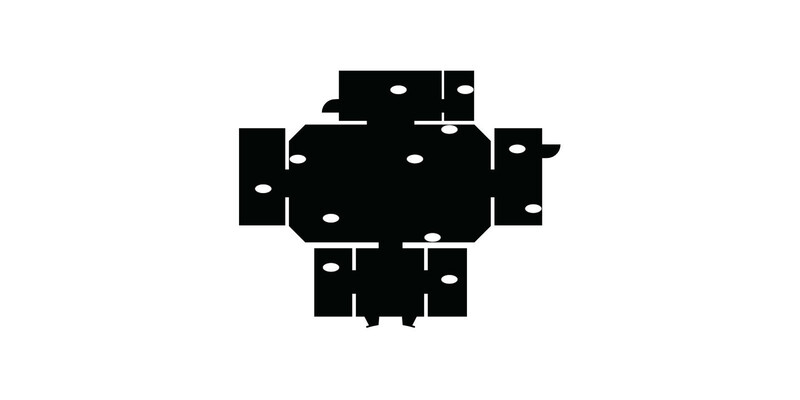 One week left before the official opening of belgian pavilion at the Biennale di Venezia. Furnitures are investing the place! 5ième édition de la Triennale de la photographie et de l'architecture organisée par la Faculté d'architecture de La Cambre Horta. 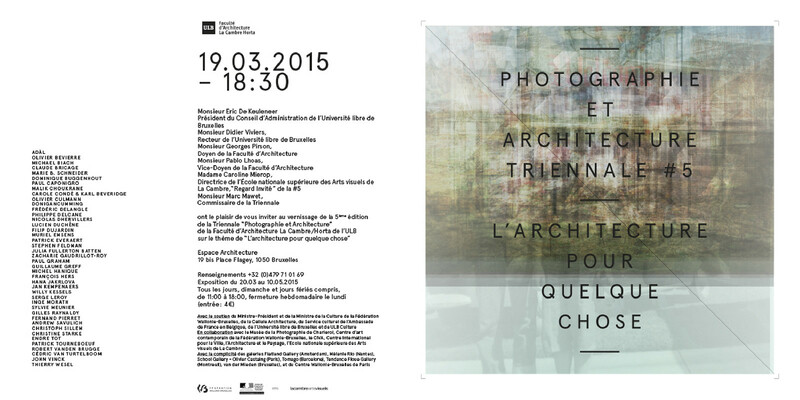 Pierre Lhoas participera au séminaire "Let's talk design & architecture " organisé par le MAD ce mercredi 23 mars. En présence de Jean-François Dingjian et Eloi Chafaï de Normal Studio et Thierry Belenger, ils analyseront les liens étroits et les tensions entre design et architecture. 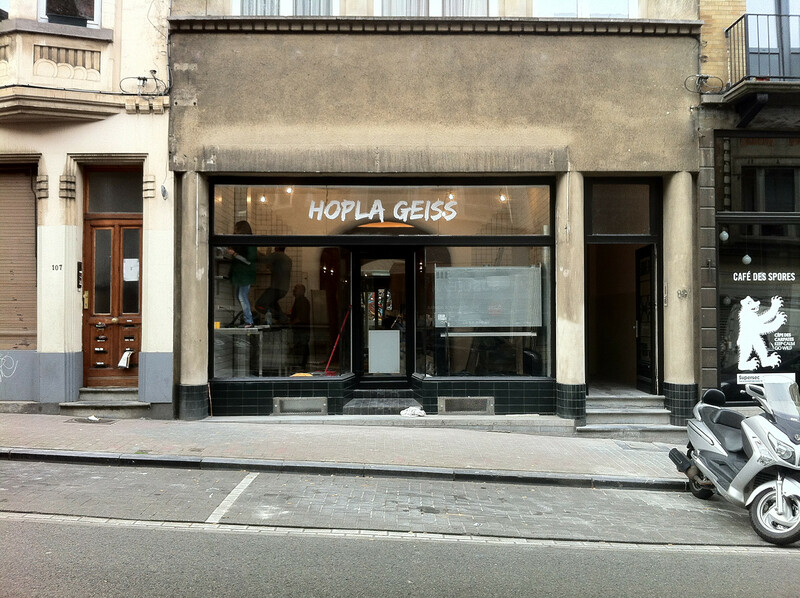 A few little pieces of architecture for our friend and cook chief Nicolas Scheidt for the recently open Hopla Geiss restaurant, best flammekueches in town! Le nouveau Mamma Roma a ouvert ses portes à Paris! Plus d'infos à venir. 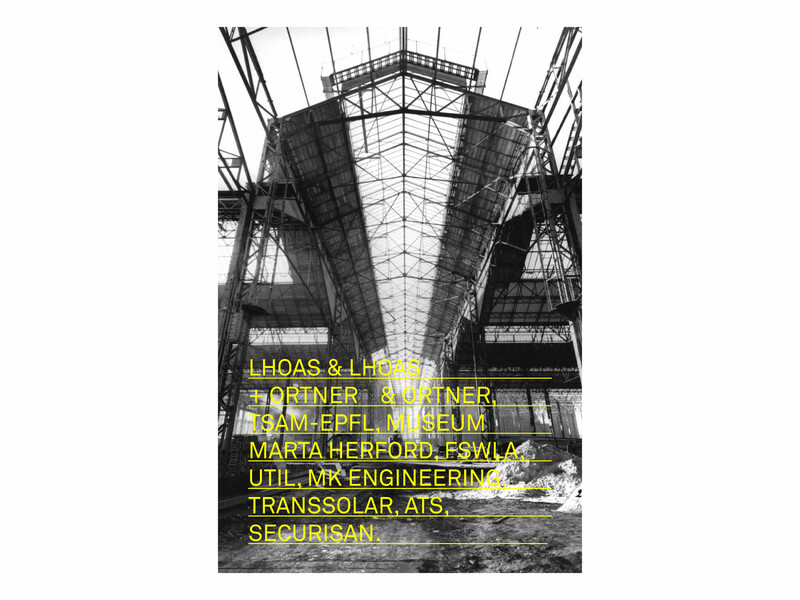 Lhoas & Lhoas has the great honor to have been chosen as designers of the scenography for the Belgian Pavilion at the 56th Venice Biennale in 2015. This project that we approach with great enthusiasm will aim to present the artistic project of Vincent Meessen and a series of selected guest artists in an exhibition called "Personne et les autres." 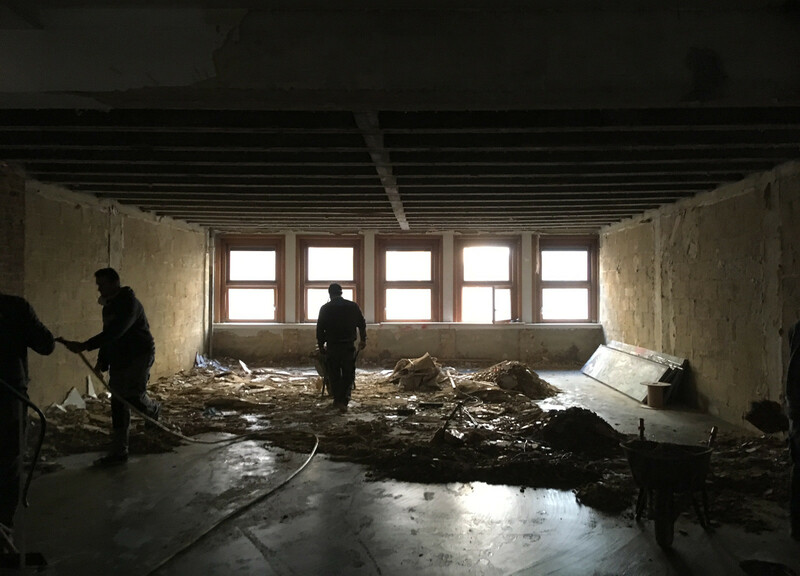 " The Belgian Pavilion at the 56th Venice Biennale will present the work of the Belgian artist Vincent Meessen, together with international guest artists. 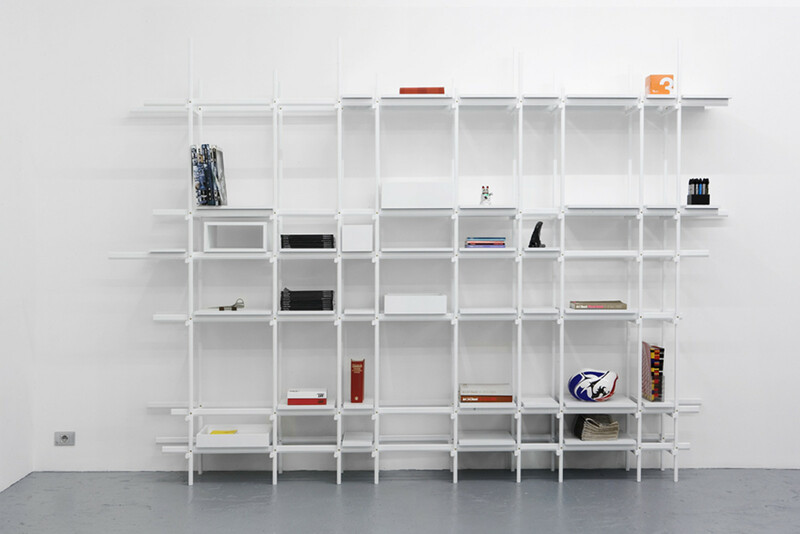 The title of the exhibition, Personne et les autres, is borrowed from a lost play by André Frankin, a Belgian art critic affiliated with the Lettrist and Situationist Internationals. 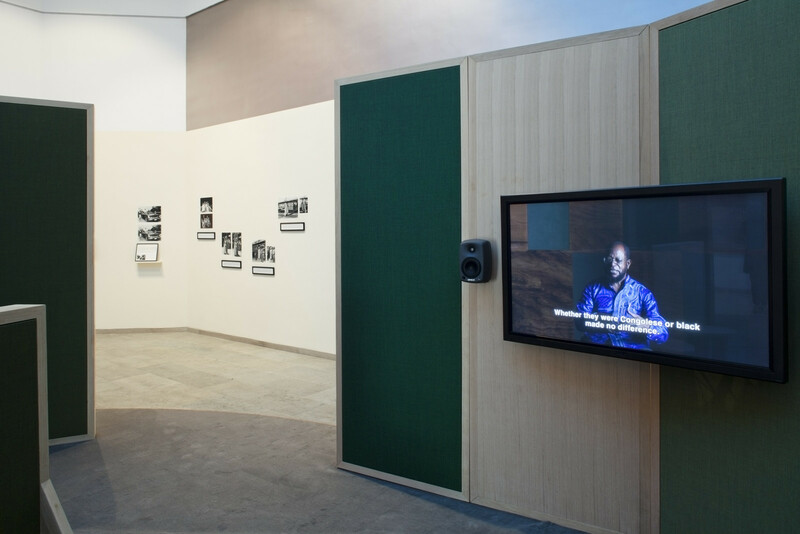 The exhibition takes the history of the Belgian Pavilion and the international context of the Biennale (both derived from the colonial exhibitions and world expositions) as its points of departure. The Belgian Pavilion itself was the first foreign Pavilion to be built in the Giardini in Venice, during the reign of King Leopold II. Meessen’s work and artistic research have consistently explored the history and afterlife of colonial modernity. " After being showed at Sao Paulo, the Dithyrambes exhibition curated by Pablo Lhoas will take his way to Bordeaux, France, at the Espace 308. From the 4th of December 2014 until the 20th of January 2015. 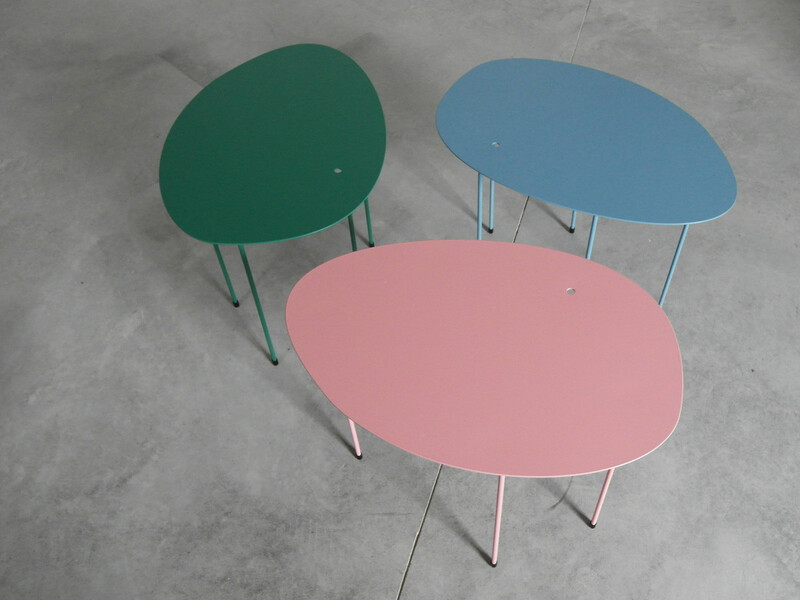 The coloured version of the XYZ shelf edited by Moca was presented at the international design fair Interieur Kortrijk this year, thanks for the work accomplished by the Moca team. Following the development of many stores in France but also in Germany, the new Heschung store based in Lille is being completed. Pablo Lhoas hold a conference on October 8 as part of Architecture Week in Prague. 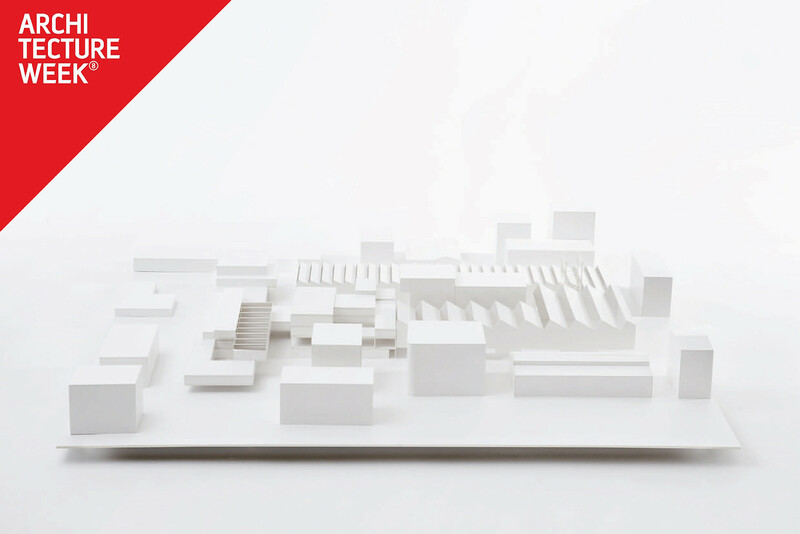 On this occasion, the model produced for the competition for the redevelopment of Les Halles Alstom will be exposed. 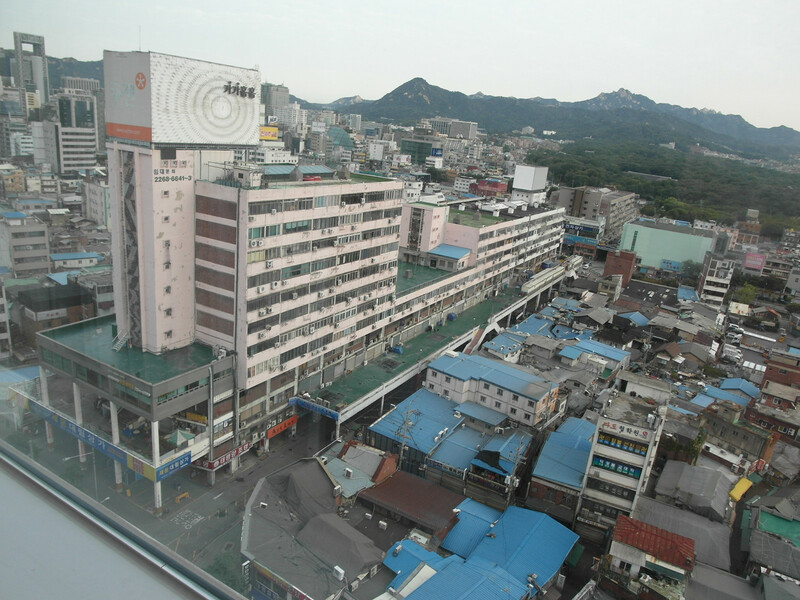 Pablo Lhoas has been invited as guest speaker at Sungkyunkwan University, Department of architecture. 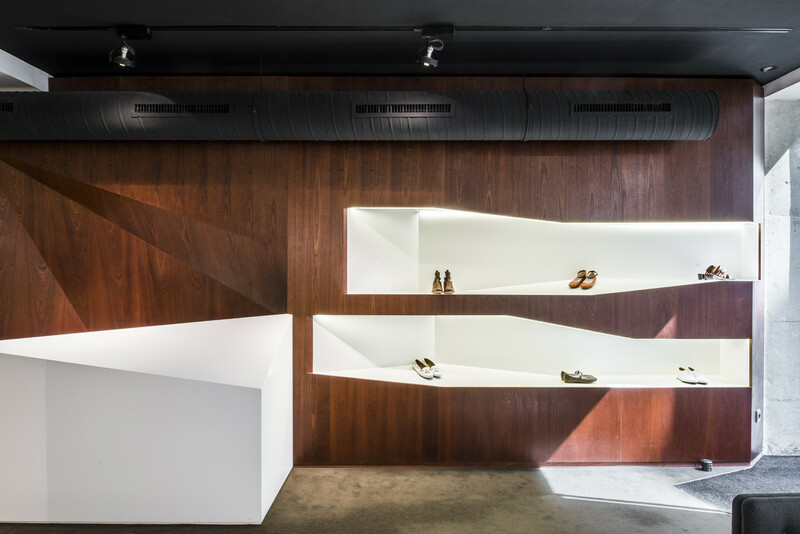 We have been selected with the french shoes manufacturer Heschung as finalists for the contest held by the Paris Board of Commerce "Paris Shop & Design". 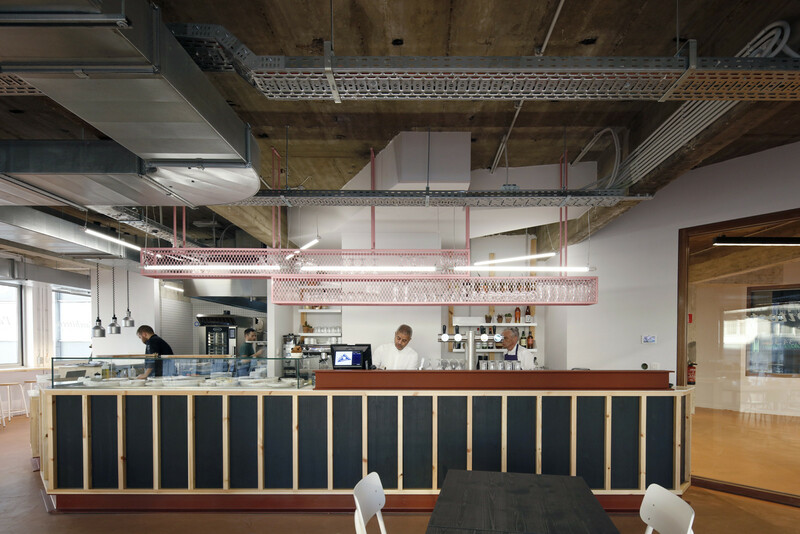 The Lhoas & Lhoas architecture office, created in 1994, will be 20 years old this year with more than 300 projects to its name. Since the early days,the projects, whatever their size, are characterized by a special attachement to materials, a mix of styles, and the blurring of boundaries between movable and unmovable.. 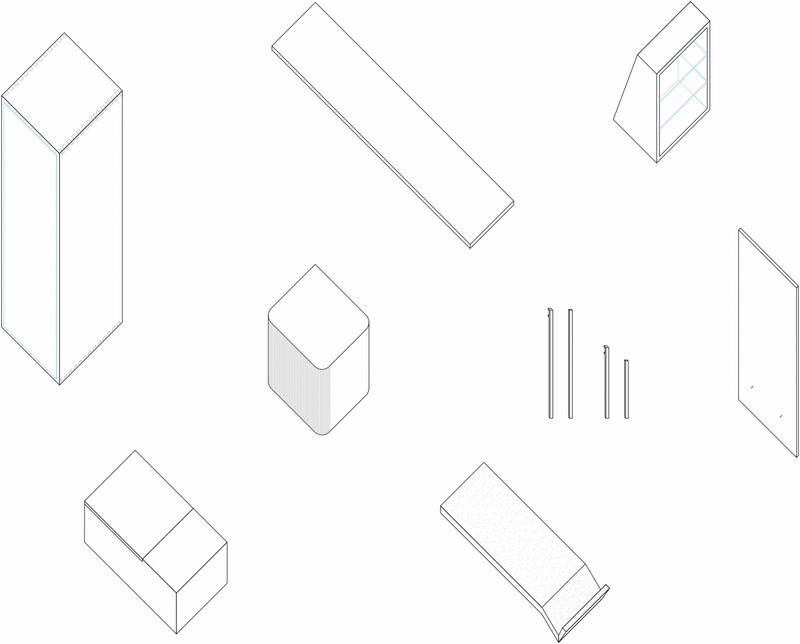 This attempt to reconsider many prevailing assumptions about functionality, structure, space and measurement, is led by the desire match closer to the needs, uses and constraints. Through a selection of twenty details presented in the form of prototypes, models, pictures, plans and sketches, the public will have the opportunity to discover some of the latest productions of the agency. 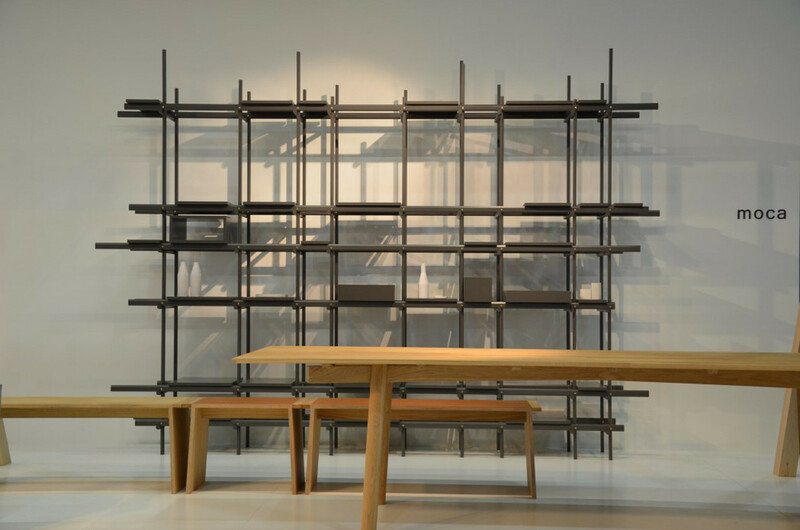 We designed some combinables tables for work and display + shelves and seating for the french headquarters of international art auctioneers, Phillips. 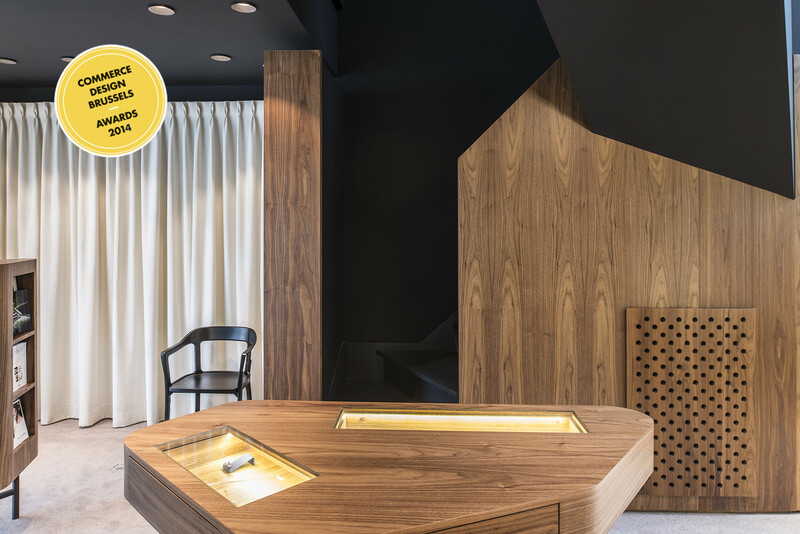 The new De Witte jewelry at Place Dumon has been recently designated beside others projects as winner of the Commerce Design Brussels Awards 2014! We are grateful to all the stakeholders of the project and especially the De Witte family. 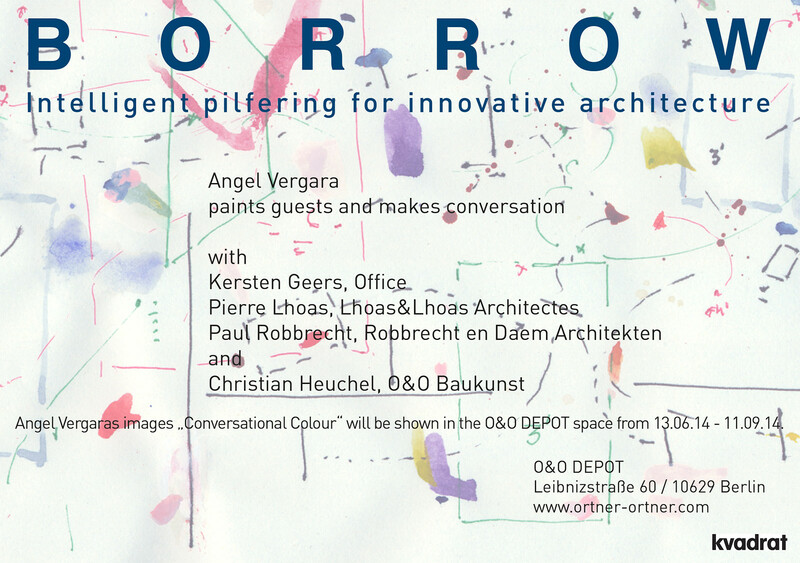 Pierre Lhoas will soon be in conference in Berlin with Paul Robbrecht from Robbrecht & Daem and Christian Heuche from O & O Baukunst. 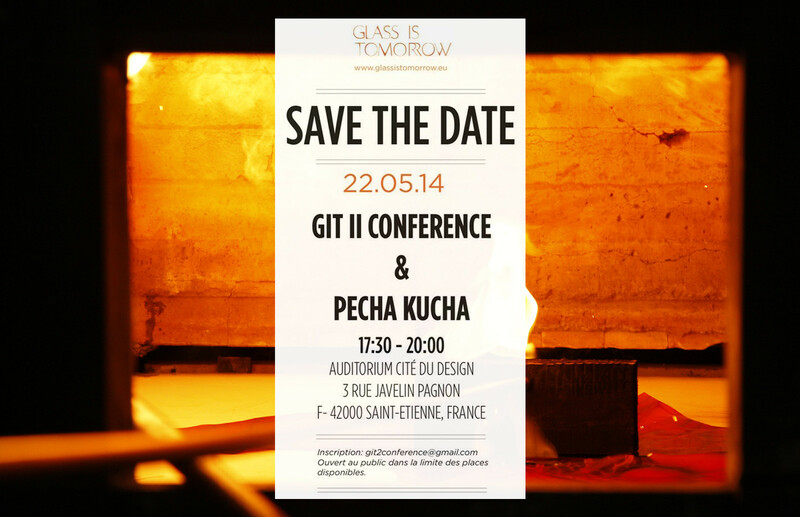 Pierre Lhoas will be part of the upcoming workshop GIT II organised by Glass is Tomorrow and that will take place at the Verrerie de Saint-Just / Saint-Just Glassworks in Saint-Just-Saint-Rambert, France. A public conference and a pecha kucha will be held May 22. Les Rencontres Morel sont un programme de lectures, de projections et de conférences le samedi 10 mai 2014 de 11h à 18h sur l’articulation de l’espace, de l’imaginaire et de la pensée, depuis les champs disciplinaires de la philosophie, de la littérature et des arts visuels. Partant d’une réflexion ouverte par Gaston Bachelard sur la poétique de l’espace et Michel Foucault sur les hétérotopies, les lieux absolument autres, le programme des Rencontres Morel souhaite mettre en lumière de nouveaux angles sur la subjectivation de l’espace et la spatialisation de la subjectivité avec des interventions sur le génie du lieu, la poétique de l’espace, l’empathie en architecture et le cadre comme accès au temps et la présence. Avec la participation de : Marie-Pierre Bonniol, Raphaëlle Cazal, Helga de la Motte-Haber, Guy-Marc Hinant, Gilbert Lascault, Marco Martella et Jean-Jacques Wunenburger, en partenariat avec la Faculté d’Architecture La Cambre Horta – ULB. Présentation du programme par Pierre Hemptinne (PointCulture), Pablo Lhoas (Faculté d’Architecture La Cambre Horta – ULB) et Marie-Pierre Bonniol (Collection Morel). Els Vande Kerckhove from Something Els. The exhibition "100 Years of design by belgian architects" began at the Atomium, 2 sets of our furniture (Bambi edited by de Zetel and XYZ edited by Moca) are selected to be part of it, alongside many beautiful pieces of furniture that aim to show how belgian architects approach and contribute to the vision of design by architects in Belgium. 18, Rue du Vieux Colombier, 75006, Paris, France.